Wipro Freshers walk-ins on 28th Nov 2018. Wipro Freshers walk-ins on 28th Nov 2018. Freshers Recruitment at Wipro Kolkata. Freshers Jobs at Kolkata. Wipro Accomplishment for Freshers in November 2018. 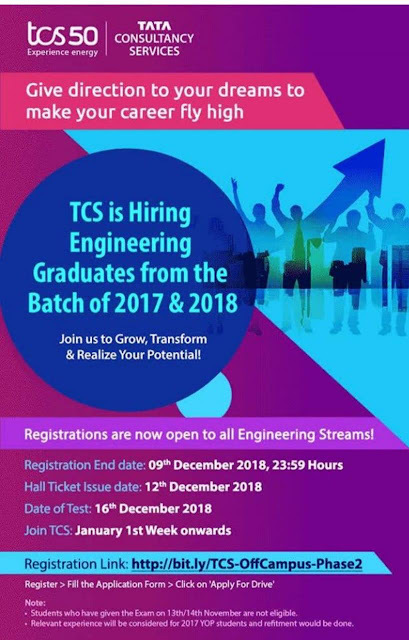 Openings for Freshers in 2018-2019. Wipro Hiring Freshers for Technical Recruirement. Try Hard to Get Into Wipro. Extensive experience on working with APIs and Integration areas. Java, J2EE, Spring, Webservice, SOAP, REST, Integration platforms, iPaas Platforms, Design, Development including APIfication in APIJEE or Layer7. Integration experience –working with Fuse ESB, Camel Routing ,Apache Platforms. Openshift Platform Management experience including, Administration, Monitoring , Deployment. Demonstrated experience implementing Mule ESB architecture, rules, caching etc. Experienced in development of technical workflows and architectural diagrams Relevant Experience Mule Soft. Should have good experience in Administering and Configuring IIB/WMB & WMQ products and working with message domains (MRM, XMLNSC, SOAP, JSON, DFDL). Should have solid experience in working with SOAP/Web services & REST API. Good experience in Cloud integration using Dell Boomi. Knowledge in infrastructure based landscapes for distributed architecture, Atom/Molecule sizing & benchmarking. Experience with integration patterns related to Web Services, SOA (REST), etc. Handle security/provisioning requirements for Boomi. Experience integrating multiple systems, applications and services using Boomi Integration Cloud. Design, development and deployment of Integration solutions for Cloud, On-Premises and Hybrid scenarios. Good understanding of API concepts and implementing them as needed while integrating with the enterprise systems. Thorough understanding of Cloud Computing: virtualization technologies, Infrastructure as a Service, Platform as a Service and Software as a Service Cloud delivery models and the current competitive landscape. Experience with orchestration to develop a cloud solutions on AWS utilizing EC2, S3, IAM, ECS, RDS.Collaborate with AWS field sales, pre-sales, training and support teams to help partners and customers learn and use AWS services such as Amazon Elastic Compute Cloud (EC2), Amazon Data Pipeline, S3, DynamoDB NoSQL, RDS, EMR and Amazon Redshift. Consulting Experience in AWS solutions for Customer problems and requirements. In-depth and current knowledge of AWS Services and their implementations. Extensive experience on working with Azure | AWS | Microservices | Java | Dot Net areas. Extensive experience on working with CICD Containerisation areas. CI/CD Tools Jenkins | Jira |Puppet | Bamboo – Setup Configuration operations Monitoring. Docker, Kubernetes, Containerised Implementations – Configurations and maintenance. Extensive experience on working with APIs and Integration areas. Strong experience with SOAP, REST Webservices. Storage, network, data, and applications) to deliver end to end Cloud architectures and designs. Azure based Cloud Architecture and migration skills and experience. Strong understanding across Cloud and infrastructure components (server, storage, network, data, and applications) to deliver end to end Cloud architectures and designs. Exposure to Virtualization platforms like VMware, Hyper-V, Citrix Xen, RHEV, KVM etc. Experience with web application servers like Tomcat, Jetty, JBoss etc. Experience with Java/J2EE, Spring framework, Spring Boot and Spring Cloud. Experience in consuming Restful and SOAP Webservices, Knowledge of XML, JSON. Good knowlege in development toolset like GIT/Stash and Maven. • Candidates with full time qualification are only eligible (No Part Time/ Correspondence qualification candidates are eligible). • Candidates should have a minimum score of 50% in their academics (SSLC/ HSC/ Diploma/ UG/ PG if applicable). Dell Freshers Walk-in Drive On 27th November 2018. Dell Freshers Walk-in Drive On 27th November 2018. Job Openings for Freshers at Dell Gurgaon. Recruitment for Freshers at Dell in November. Freshers Accomplishment in 2018-2019. Dell Hiring Freshers in November. It is a Great Oppurtunity for Freshers to be a Part of Leading mnc. 0 to 5 years of relevant experience required.